The Congress has secured the following discounted tour options for WCPP delegates to book during their stay in Australia. Depart Melbourne early morning and travel to the southwest via Geelong, the state's second largest city. Not long past Geelong the ocean comes into view before passing through the surfing townships of Anglesea and Aireys Inlet. Continue onto Lorne where the dual mix of the ocean and the Otway Ranges is breathtaking. Follow the coast road through to Apollo Bay and Kennett River before heading inland through rainforest and then emerging on to the Shipwreck Coast. The afternoon would feature the coastal rock formations of Loch Ard Gorge, 12 Apostles and The Arch before arriving in Port Campbell. After breakfast travel across to Tower Hill, an extinct volcano and now a State Park. A walk through the park reveals koalas in generous numbers in the gum trees. Late morning continue through to Dunkeld where lunch will be enjoyed at the stylish Royal Mail Hotel. After lunch, a visit would be made to Crombie Homestead where an insight into life on the land would be provided by the owners. Late afternoon transfer through to Halls Gap, the major town at the heart of the breathtaking Grampians mountain range. $1090 pp, based on a minimum of 6 people (twin/double share). $1265 pp, based on a minimum of 6 people (single share). Includes: Mini-bus transport, two nights accommodation, meals as indicated (Bbreakfast, L-lunch), farm visit at Crombie Homestead, visits to Melba Gully, Port Campbell National Park, Tower Hill and Grampians, entry fee to Sovereign Hill, guide, gst. Arrive Sydney and transfer to Travelodge. Day at leisure. Day at leisure to explore some more of Sydney. A suggested activity is The Bridge Climb, a 3 1/2 hour adventure and a never to be forgotten experience on one of the world’s most prominent attractions. The climb begins with a comprehensive briefing and safety demonstration that prepares you for the Climb of your Life ! The exhilaration and sense of satisfaction achieved by reaching the top is rewarded with breathtaking views. One of the safety requirements is that each walker is breathalysed and carry items such as cameras are not permitted. The cost of the ticket includes a photograph. 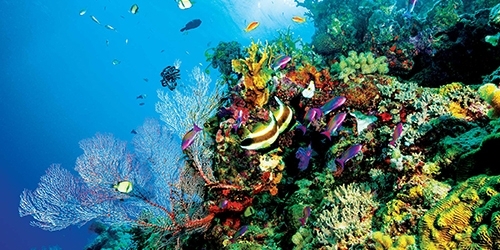 Cost: $1360 pp (twin or double share). $1930 pp (single share). Includes: Three nights accommodation, city sights tour, harbour cruise, Blue Mountains tour, midi-coach transport, meals as indicated (B-breakfast, L-lunch), transfers, gst. 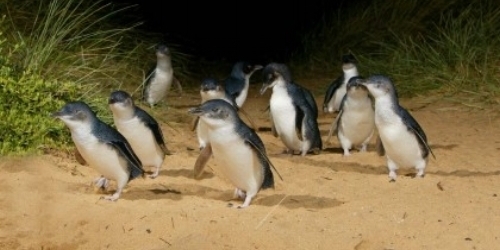 Includes: Transport, entry to Koala Conservation Centre, Penguin Parade with Penguin Plus Viewing Platform, guide, gst. Travel through to the north-east of Melbourne through the rolling hills of the Yarra Valley to the Healesville Sanctuary, home to more than 200 species of native animals in a natural bush setting. Spend the morning at this outstanding facility before arriving at Yering Station for lunch in their light filled restaurant. The day concludes at De Bortoli with a wonderful selection of cheeses that will be matched to their estate range of wines. Includes: Transport, entry to the Healesville Sanctuary, wine tasting, main course a la carte lunch, glass of wine & coffee at Yering Station Vineyard, wine tasting with cheese at De Bortoli Vineyard, guide, gst. Includes: Transport, all wine tastings, glass of sparkling and guided tour at Domaine Chandon Vineyard, lunch, glass of wine & coffee at Yering Station Vineyard, cheese platter with matching wine at De Bortoli Vineyard, guide, gst. Described as a ‘comprehensive highlight of Melbourne’, this tour is a must for any visitor to the city. Take a look at Melbourne’s past by learning about Aboriginal history, the settlement of Melbourne and early colonial life. The tour is a highlight of cultural aspects of modern day Melbourne. 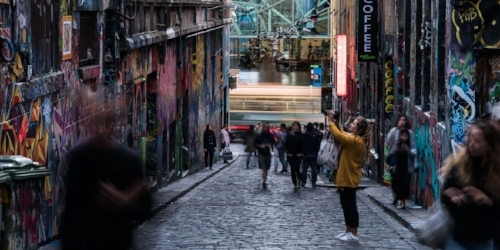 Venture through Melbourne’s laneways and arcades, discovering street art, music & café culture as well as some opulent and sometimes controversial architecture. Sports, art projects and immigration history are also covered in the walk.